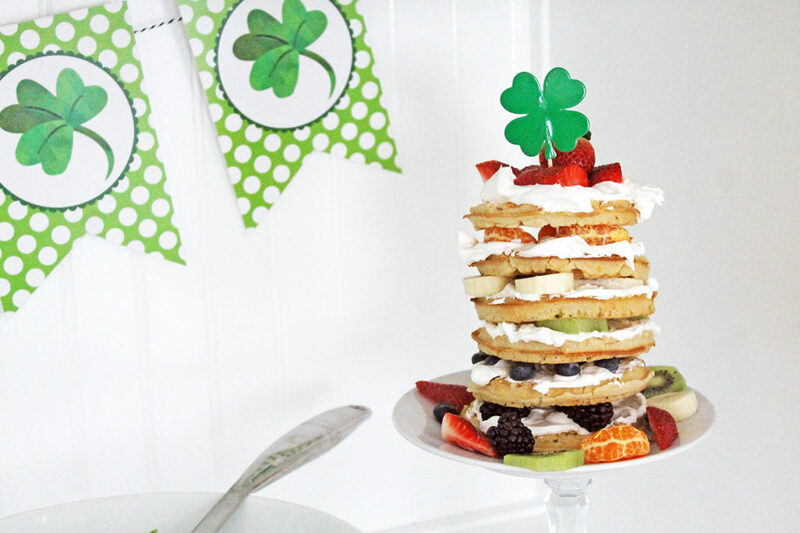 Did you catch my St. Patrick’s Day breakfast table yesterday? 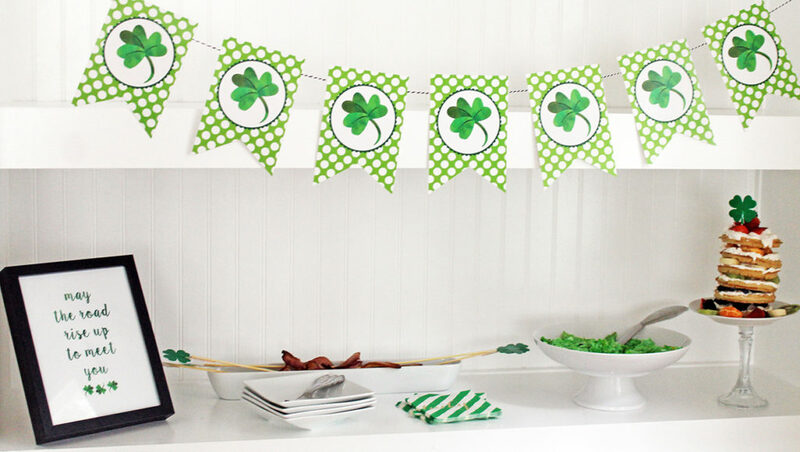 It featured a menu of bacon on a stick, green eggs, and a rainbow waffle cake…along with some cute printable decor from Sunshine Tulip Design. 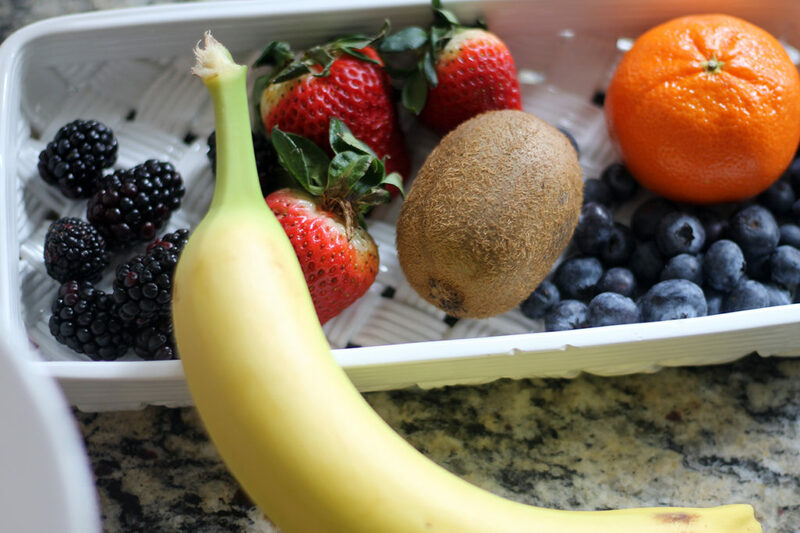 Today I’m sharing the simple instructions to create the rainbow waffle cake. 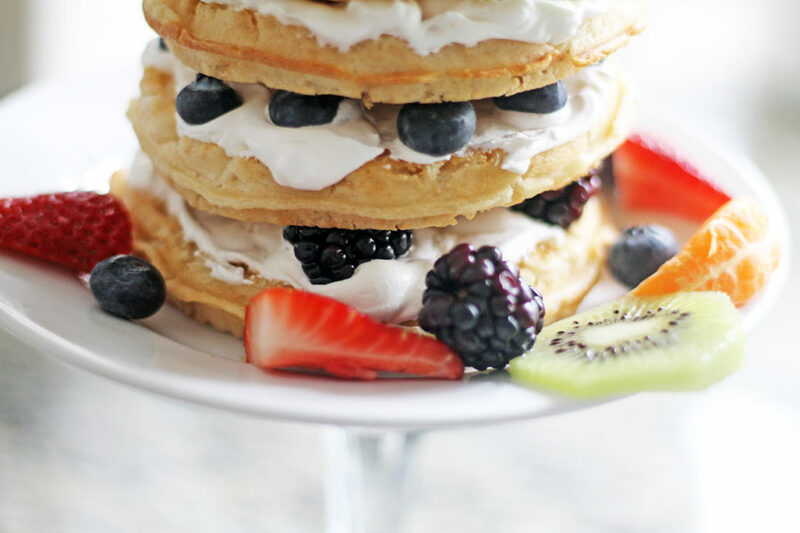 Start by placing a waffle on a plate and spread the whipped topping over it. 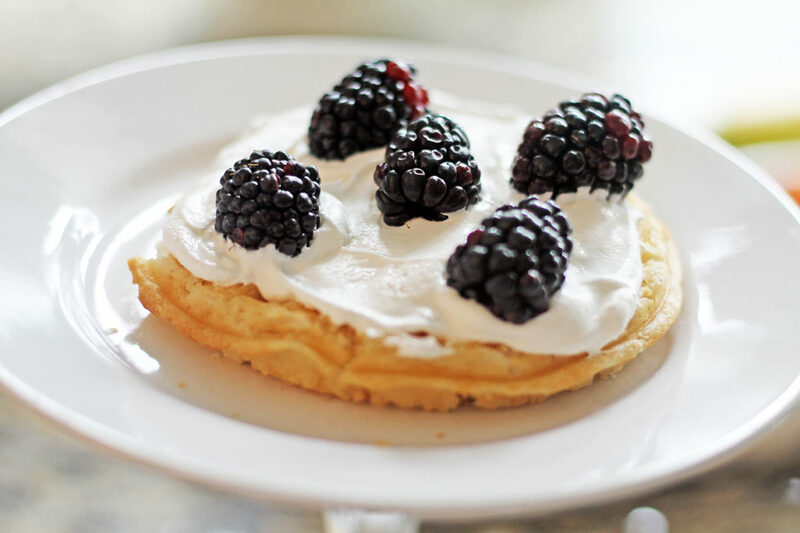 Put some blackberries on the whipped topping. 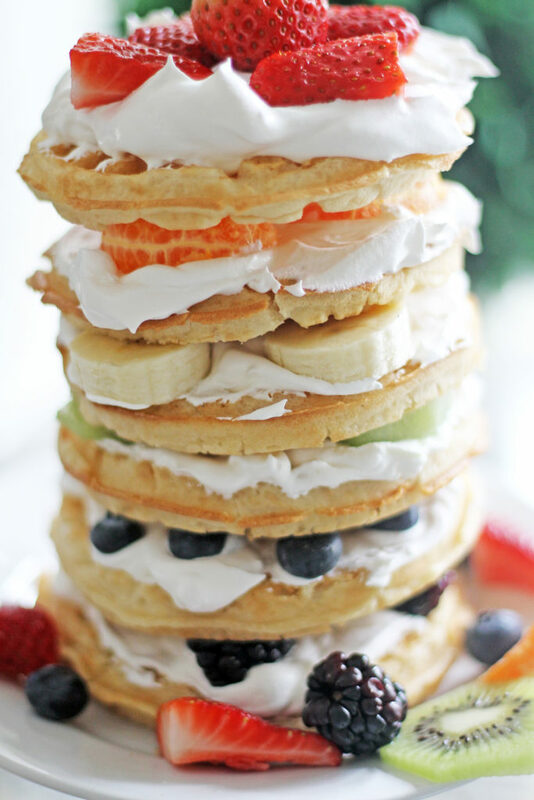 Then place another waffle on top. 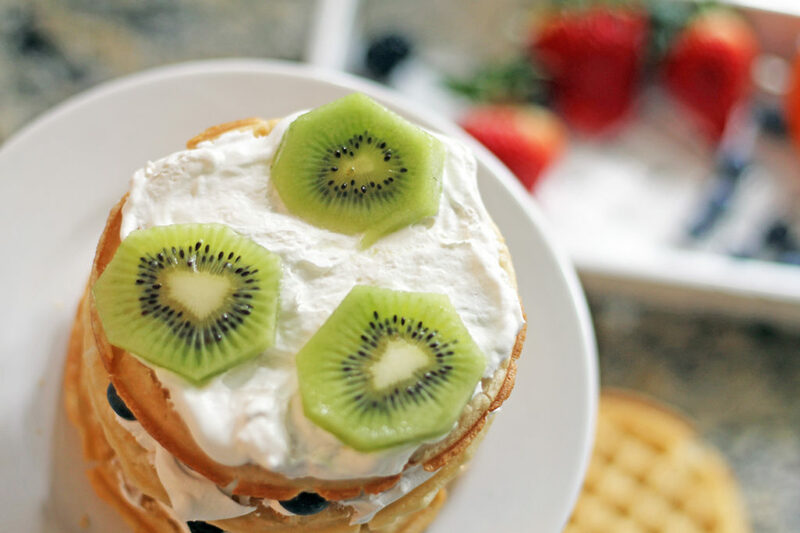 Continue layering the waffles, whipped topping, and the fruit…going in the order of the colors of the rainbow (blackberries to blueberries, to kiwi slices, to banana slices, to mandarin orange segments, to strawberry slices). 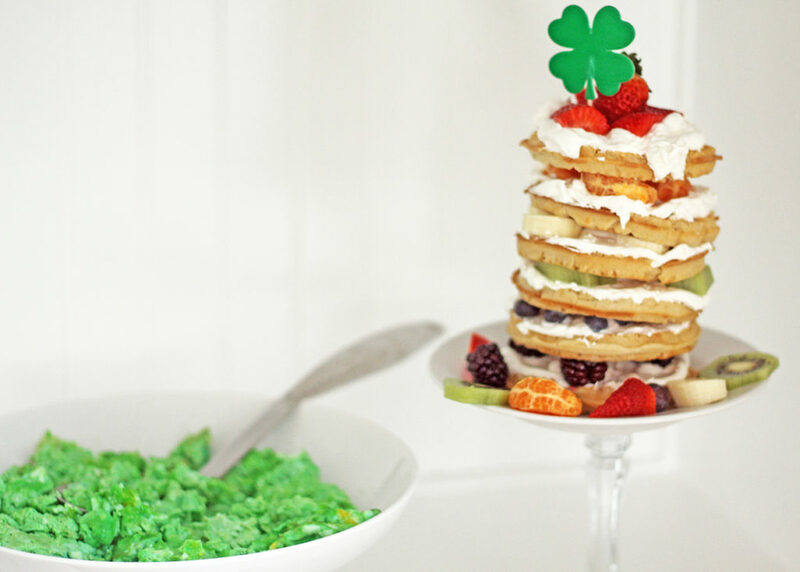 I’m not sure you’ll find any gold at the end of this rainbow, but breakfast will be fun and delicious!